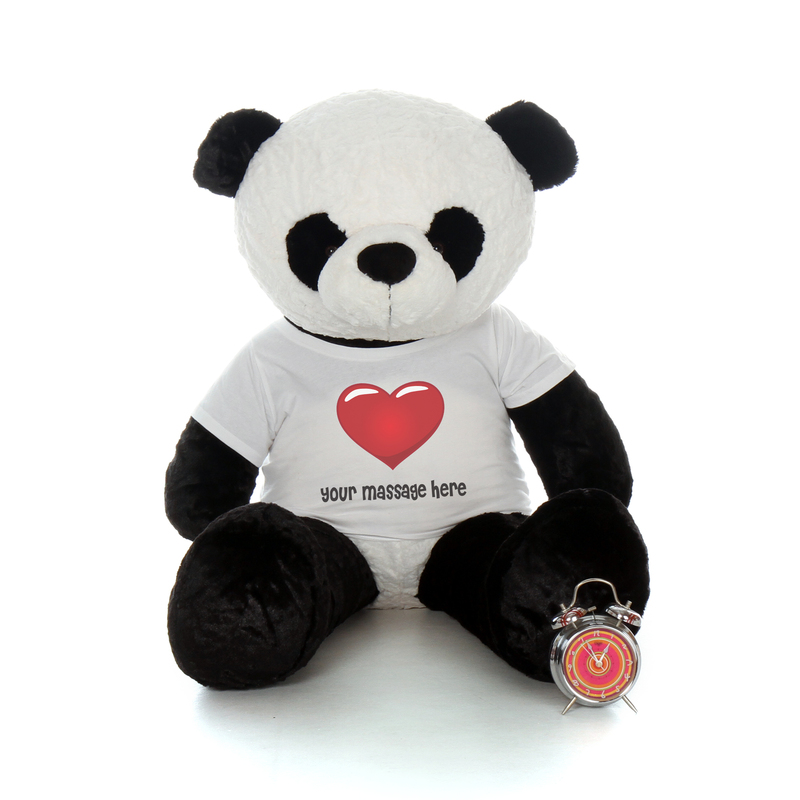 Meet Ricky, our personalized GIANT 48in panda bear! He’s wearing an adorable red heart shirt printed with up to 5 words that’s perfect for Valentine’s Day or anytime you have a message for someone you love. *Enter message in the text box – please check spelling carefully! How BIG is this Giant Teddy Brand Stuffed Animal Friend? Item is great super soft my girlfriend uses it to nap on everyday.